Putting together a Montessori-inspired eye unit proved to be much more difficult than I thought. I saw so many cute posts on the internet with eye exam printables. There were eye glass store set ups etc. 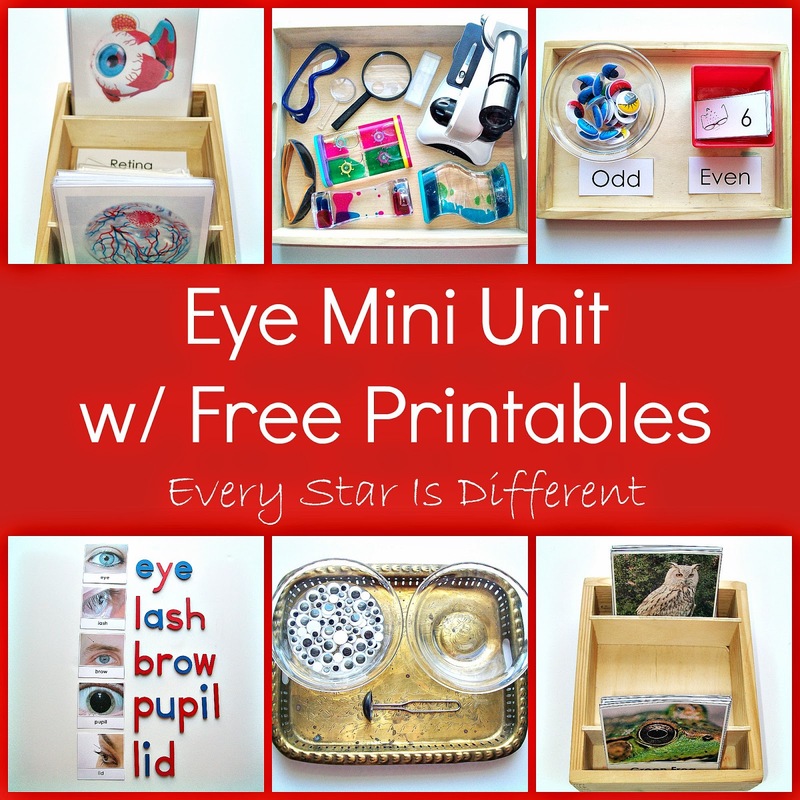 Unfortunately I could not figure out how to put a Montessori tray together with a control, that could be completed individually with those adorable printables. All of my kiddos are 100% proficient at putting on glasses. So, I had to become a little more creative. I came up with the following activities, if further inspiration strikes, I'll be sure to add more to this post. I'm not sure if it's just my kiddos, or if most kiddos get confused when trying to learn all outer parts of the eye. Hopefully this spelling activity will help them. 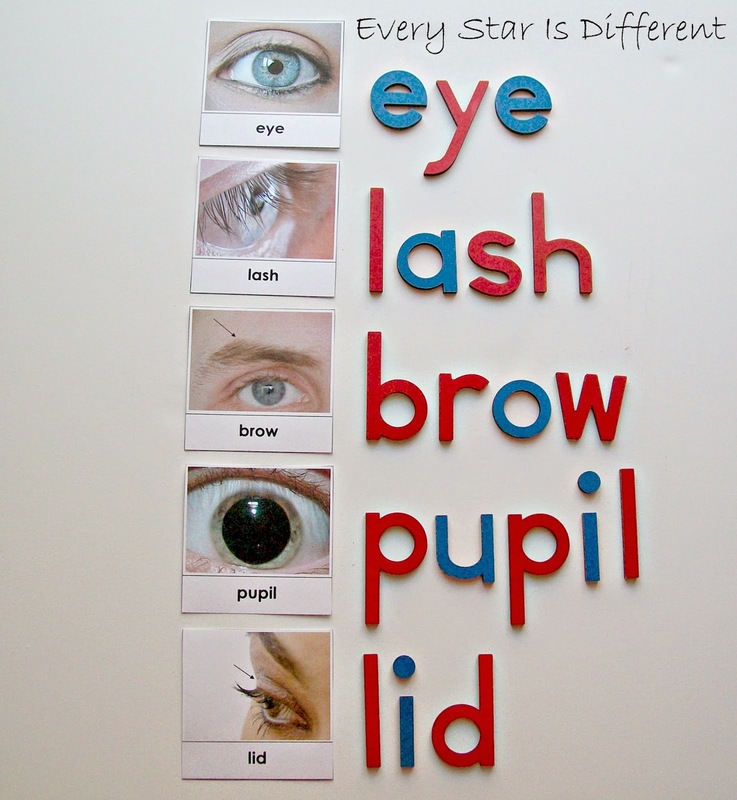 Source: I created the printable for this activity as part of my Eye Unit Printable Pack 1. For your free copy, click on the link at the bottom of this post. 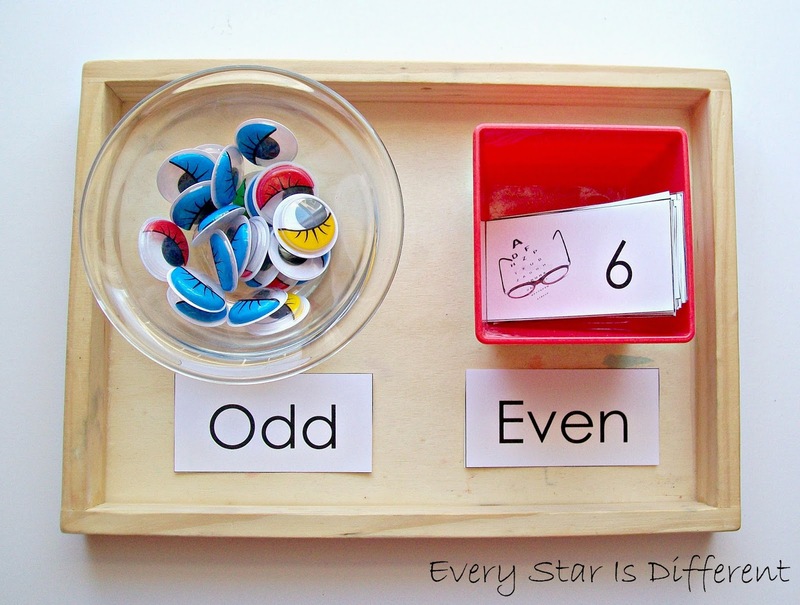 It's been a long time since we've reviewed odd and even numbers. I've been meaning to do so for quite some time. When I found these large cute googly eyes, I knew they'd be the perfect counters for the activity. An eye unit wouldn't be an eye unit without 3 part cards introducing all the parts of the eye. 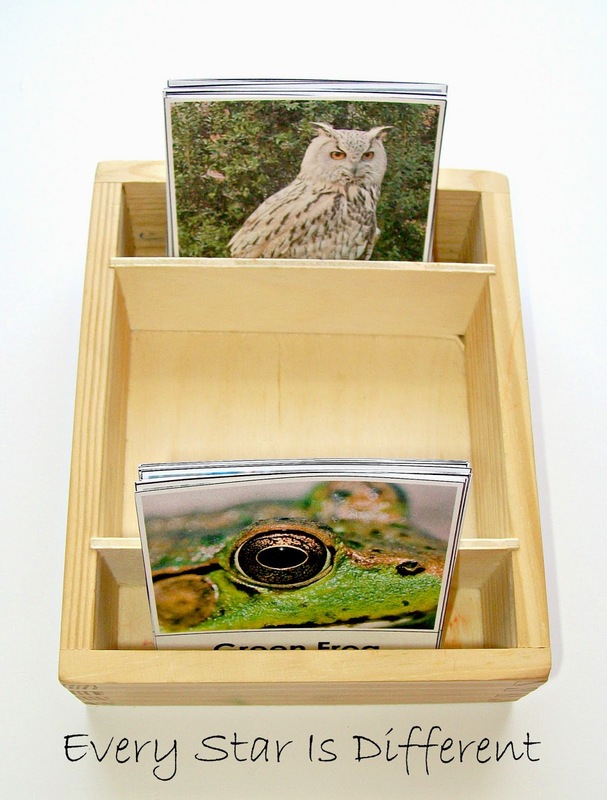 Source: The free printable for this activity can be found at Suzie's Home Education Ideas. 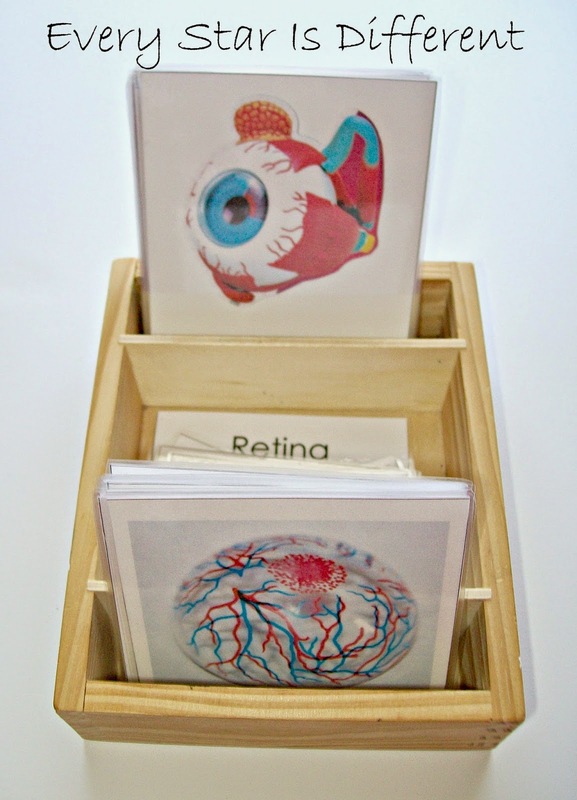 I'm hoping to have my 4D Eye Ball Anatomy Model arrive soon! There's nothing quite like studying the eyes of animals, especially animals that have more than two eyes. The kiddos will have a blast playing memory with these cards, or just completing a simple match up activity. 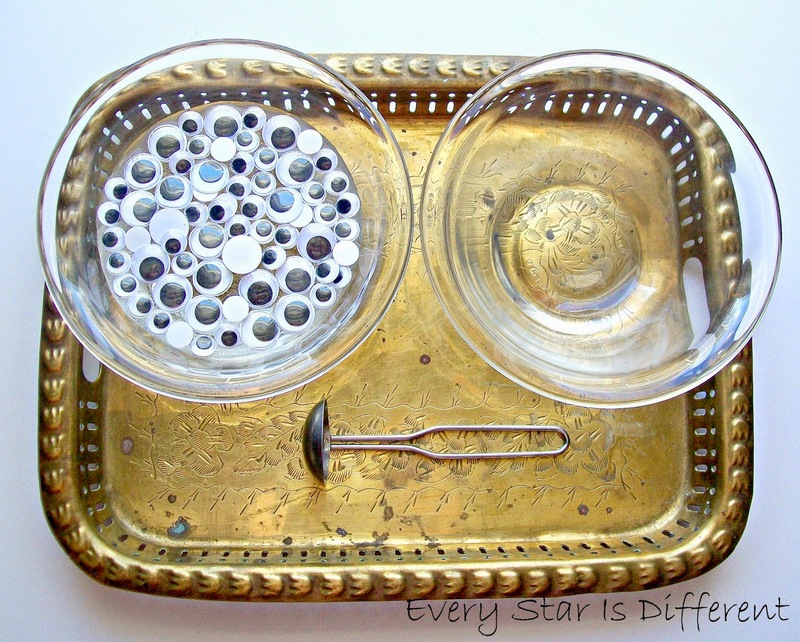 The kiddos will practice transferring the eyes from one bowl to the other. The fun part about the activity is that the eyes are floating in a bowl full of water. I'm excited to see how well the kiddos transfer the liquid and solid mix. Source: This activity was inspired by a post I saw at Fun at Home with Kids. This activity will most likely change during the course of the week, as more will be added to the tray, and some items will be taken away. The purpose of the activity is to discover and explore ways we use our eyes in different situations. In some scenarios, we'll be learning about protective eye wear. 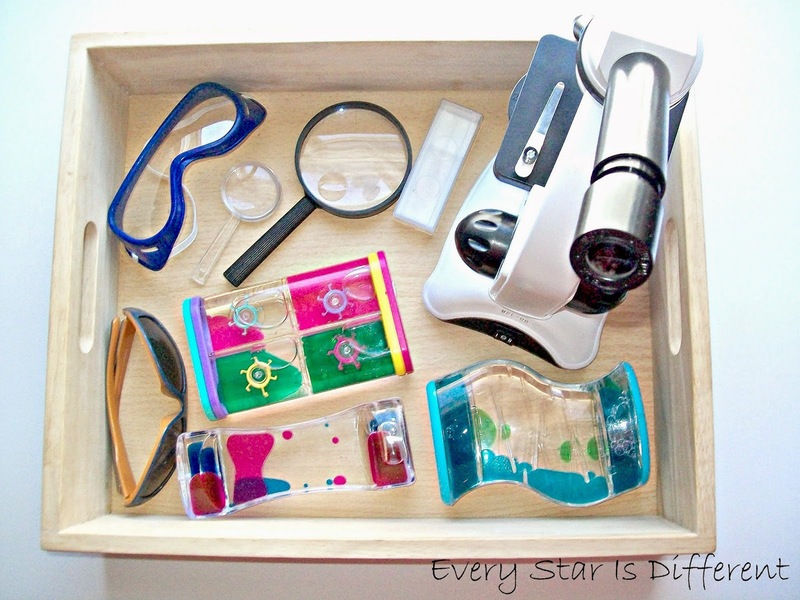 Other items on the tray help the kiddos explore ways to see with there eyes. Lastly, I've included some visually stimulating items we have at home. (Bulldozer LOVES visual stimulization.) No matter what items are on the tray, the kiddos will be able to have a hands on experience exploring. If you're looking for some of the bigger items used in this unit, check these out! I highly recommend them! For those interested in my free printables, click on the link below! Be sure to come back and visit! Our pharmacy unit will be shared soon! Brilliant way to study , fun and educational. Fantastic!